Nectar – a sugary liquid is extracted from flowers using a bee’s long, tube-shaped tongue and stored in its extra stomach, or “crop.” While sloshing around in the crop, the nectar mixes with enzymes that transform its chemical composition and pH, making it more suitable for long-term storage. Honey’s color, taste, aroma and texture vary greatly depending on the type of flower a bee frequents. Clover honey, for example, differs greatly from the honey harvested from bees that frequent a lavender field.Honey is made up of glucose, fructose, and minerals such as iron,calcium, phosphate, sodium chlorine, potassium, magnesium. Molan, director of the Honey Research Unit at the University of Waikato in New Zealand. improving recovery time than other sweeteners. intervals. You can also mix the honey with lemon juice and a pinch of salt and gargle. immune-system booster – it can help ward off colds. bacteria and therefore helps keep wounds clean and free from infection. dressing before covering the wound. An extra dressing or bandage will contain any leaking honey. Honey is also effective for cuts and burns – it reduces pain and swelling, and promotes healing. Simply dab some honey on the affected area. Do you suffer from hay fever? Eating honey that is local to your area (and has not been blendedwith honey from other areas) can help boost your immune system and reduce your hay fever symptoms.Why local honey? The local honey contains very tiny amounts of the pollen found in your area. These tiny amounts of pollen are not enough to trigger the allergic reaction when you ingest the local honey, but they do help your body to build up a tolerance to the pollen. 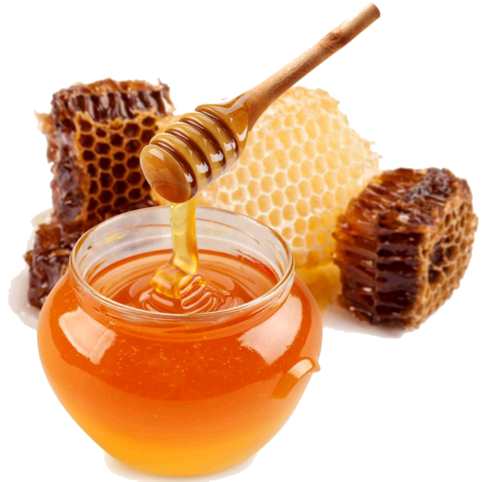 Honey has a mild laxative effect which can help combat constipation and bloating. It is also rich in friendly bacteria which act as a probiotic and keep the digestive and immune system healthy. For a homemade digestion aid, try tea with honey and lemon. Honey may also be effective in the treatment of ulcers – take 1 to 2 teaspoons of honey on an empty stomach (half an hour before a meal) up to three times a day to provide pain relief and assist in healing. Have you had too much to drink? Honey is a great way to help the body deal with the toxic effects of a hangover, scientists say. The fructose in honey helps the body break down alcohol into harmless by-products. Honey also contains powerful antioxidant properties that can neutralise the harmful effects of alcohol. Enjoy two tablespoons of honey on its own, or on toast. Honey is great for your skin as it locks in moisture. If you suffer from dry skin, put some honey on your skin, leave on for 20 minutes and rinse off with warm water. Legend has it that Cleopatra bathed in milk and honey to preserve her youth and beauty. Run a warm bath; and add one cup of milk and half a cup of honey. If you like, you can add a few drops of essential oil (rose, jasmine and lavender are great choices). Honey’s antibacterial properties are also great for acne. Treat spots on your skin by applying raw honey with clean fingers on skin and removing with warm water after 20 minutes. Honey can help reduce the itch and irritation of mosquito bites. Dab a little bit of raw honey right on the bite. Honey’s anti-microbial properties will also help prevent infection. Honey can boost athletes’ performance and endurance levels and reduce muscle fatigue. This is thanks to the perfect combination of glucose and fructose in honey.The glucose is absorbed quickly by the body and gives an immediate energy boost, whereas the fructose is absorbed more slowly, thus providing sustained energy. This combo also helps to regulate blood sugar levels. Honey has also been shown to increase antibodies and fight inflammation. Take a spoonful of honey before your workout. Mineral materials before all potassium salts.